URC ( Universal Robina Corporation ) is one of the major manufacturer of bakery products in asean countries .Established in year 1954 by John Gokongwei . It has come a long way to be Asean foremost bakery brands . Universal Robina Corporation is subsidiary of JG Summit Holdings, Inc .
Universal Robina Corporation (URC) is a manufacturer and marketer of branded food and beverages in Philippines. The company manufactures several product category related snack foods, beverage, grocery and other related products. It also offers coffee, flour, feed, meat and ready-to-drink products. The company operates in Philippines and also operates in China, Thailand, Malaysia, Vietnam, Singapore, Hong Kong and Indonesia internationally. 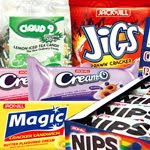 In Philippines, the company sell its products under the brands such as Chippy, Nova, Hunt’s tomato-based products and other snack foods under the Jack ‘n Jill mega brand, Nissin and Payless noodles. URC has 15 manufacturing facilities and 14 distribution centers throughout Philippines.